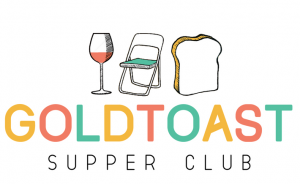 Continue reading "EVENT // Chinese Sunday Supper"
Continue reading "What is Goldtoast?" Continue reading "LAST WEEK WITH GOLDTOAST"
Continue reading "PHOTOS // Mexican Sunday Supper"
Continue reading "MENU // Mexican Sunday Supper"
Lovely to have these three along! Continue reading "Lovely to have these three along!" Continue reading "EVENT // MEXICAN SUNDAY SUPPER"